Actor and prolific social media user James Franco has Instagrammed a couple of new photos fresh off the set of his new film Michael, which is focused on the life of "ex-gay" activist Michael Glatze. We got our first look at him in his new role earlier this week. The film is based on a New York Times article by Benoit Denizet-Lewis and is being directed by Justin Kelly. Gus van Sant is an executive producer on the project. 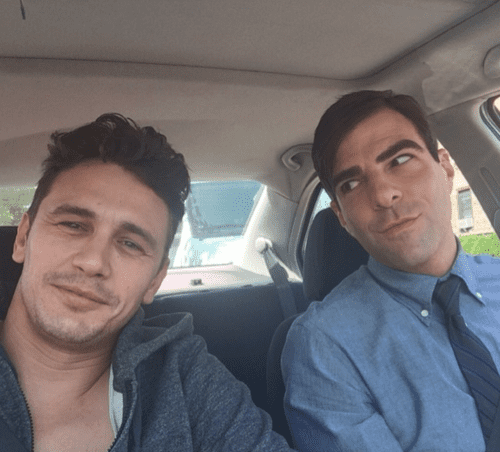 Franco captioned the above photo with Zachary Quinto as "My new lover, SPOCK!" Quinto plays Glatze's ex-lover in the movie. 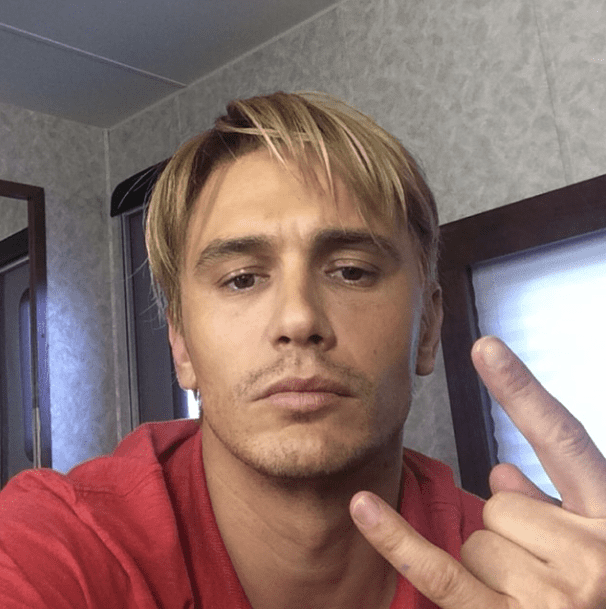 AFTER THE JUMP another photo of Franco from the film's production – this one's a selfie of the actor sporting blond hair.